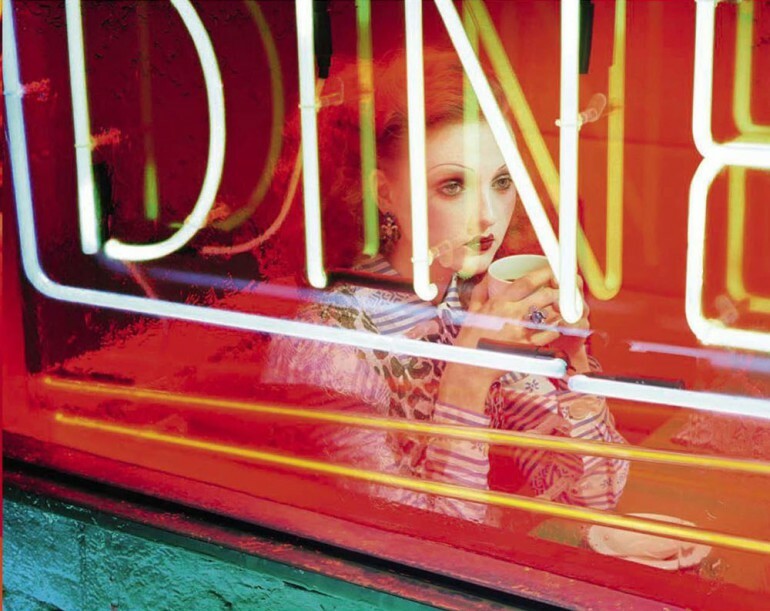 Photographer: Miles Aldridge. Model(s): Madison Stubbington. 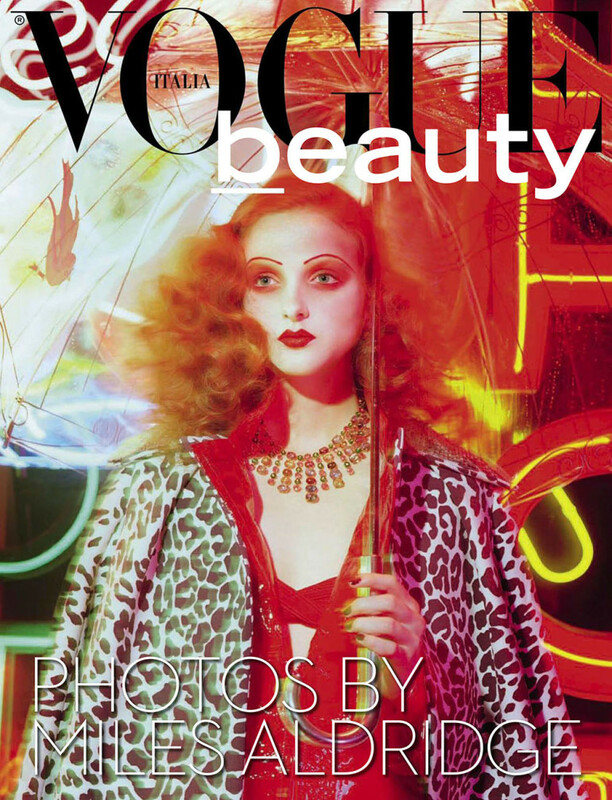 Source: Vogue Italia Beauty. Stylist: Tara Greville. Makeup: Isamaya Ffrench. Hair: Kerry Warn. Madison Stubbington radiates under the screaming gleam of luminous lights shot by Miles Aldridge for Vogue Italia Beauty, September 2015. In one of the most saturated stories of the season, Aldridge invites us to explore the combustible colors of creation. 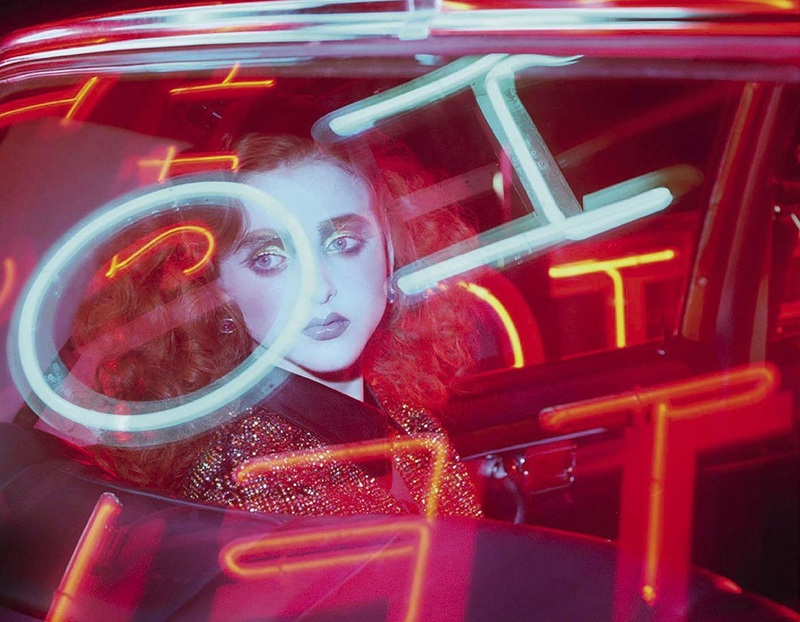 Stylist, Tara Greville goes for a vintage vibe with electrifying fashions that flourish amid the flash. Under the glare of high glamour designs delight from jungle prints to tethered tweeds. New beauty becomes as each image takes us into another time. Rouge delight devours our senses as features succumb to the savagery of scarlet. Shock value aims to rock while still offering powerful pictures that pop. High brows sit way above the natural line with titillating hues that arouse and excite. The tone of pure red devours the features, attacking the eyes as it floods the face. 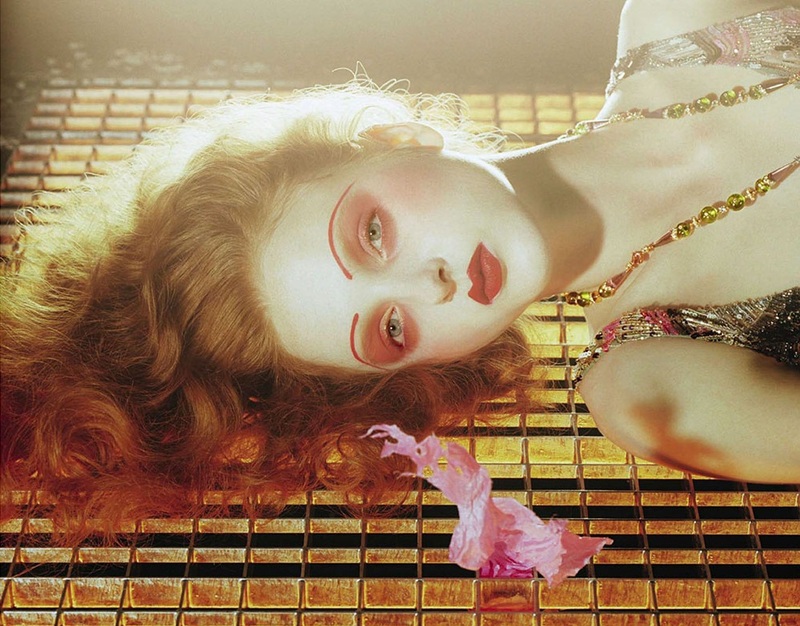 A makeup bomb explodes as Isamaya Ffrench falls forward in a rush picking beauty up in a vibrant flush. Powder sets things off as neon delivers a new take on the art of skin paint. Rich shades are set to saturate as Chromo-Shocking colors capture our imagination. Fast Forward lids evoke a creative change with neo-teric shadows that hit outside the lines. Blue/Red lips burst onto the page with Post Retro shapes that scream to be seen. Hairstylist, Kerry Warn, entices classic styling with haute couture hair that speaks chic. Crimson curls swirl around the head delivering a piece of both the past and future. From old to new, this story proves that truth is found in the beauty between. History floods the page with fluid imagery that emerges as new. Images via – Fashion Copious.